In the dark corridors of MNIT, for ever seer’ there is much to explore, with each swaying curtain a photo is revealed expressing a thousand word description. 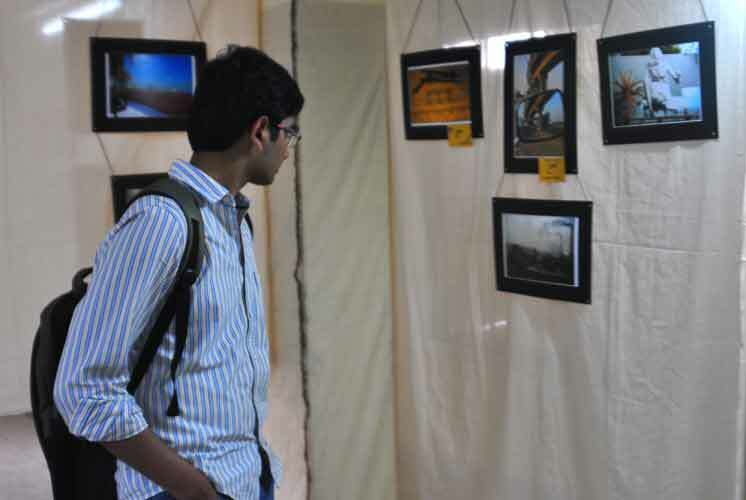 An yearly photo exhibition Moments 2012 hosted by Malaviya National Institute of Technology kicked off on Thursday. 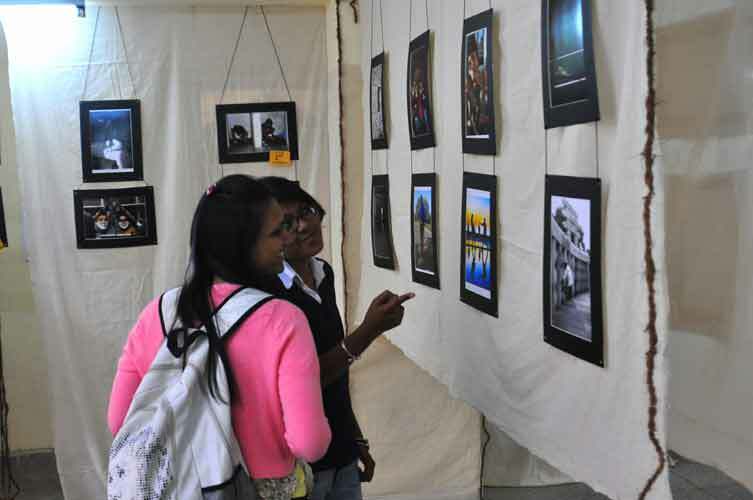 This year the exhibition has grown internationally after receiving the entries from world wide, and the Photography club of MNIT aims to make it a global hit. For students and amateur photographers this is a lifetime moments where they exhibit their art, hard work, and collective efforts artistically. The Moments photo exhibition is an yearly Photo celebration for the institution and photo freaks since its inception in the year 2007. This year the exhibition received near about 2000 entries, in which 150 made into final selection. Arprit Modi, the organiser of the event said, “This year the entries were in highest numbers as compared to the last year”. One can see the hundreds of colorful and black white photo’s describing different categories like, Issues, People, Street, Nature, Still Life, Abstract, Campus life, Mobile Photography, Engineering Marvels. With high competitive spirits the photo judging was also done and in each category first three winners were declared. In overall combining all categories together, Sagar U Shetty, student of 5th year B. arch student stood first, while Siddhartha from Global institute of Technology stood second, and Nirvana Singh from Dhaka got third prize. This year organising team too displayed their photographs however did not participated in the competition. This strong organising team have enthusiastic members like, Ayush Ahuja, Rahul Joya, Pritishtha Garg, Askash Garg, Aishwarya Grover, Dixshit Vara, Siddhartha Mehta, Navin Pawar, Monica, Gaueav Gurjar, Manish Jain, Lalchand, and Khemraj. For photo lovers the ‘moments’ 12 for sure is a collection of vibrant pictures which leave a mark on your mind. Mahesh Swami, Faculty Advisor Photography club MNIT said, “Moments is an annual celebration of photographs. Every year we try to make it bigger and better. 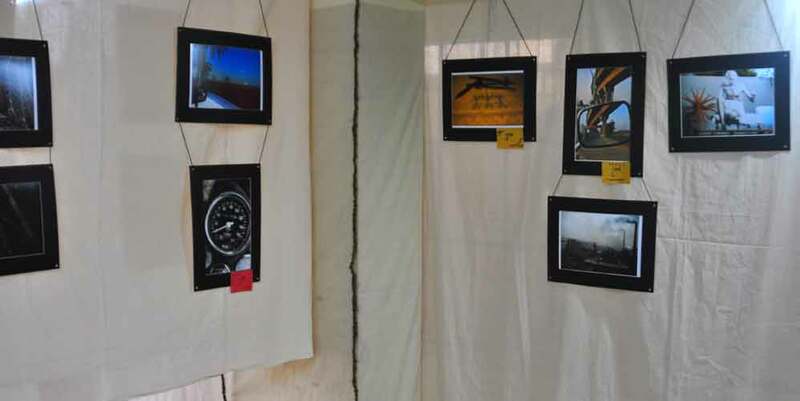 The exhibition reflects creative streaks these engineering students have”. Next Post Metro station and platform at Chandpole ready !